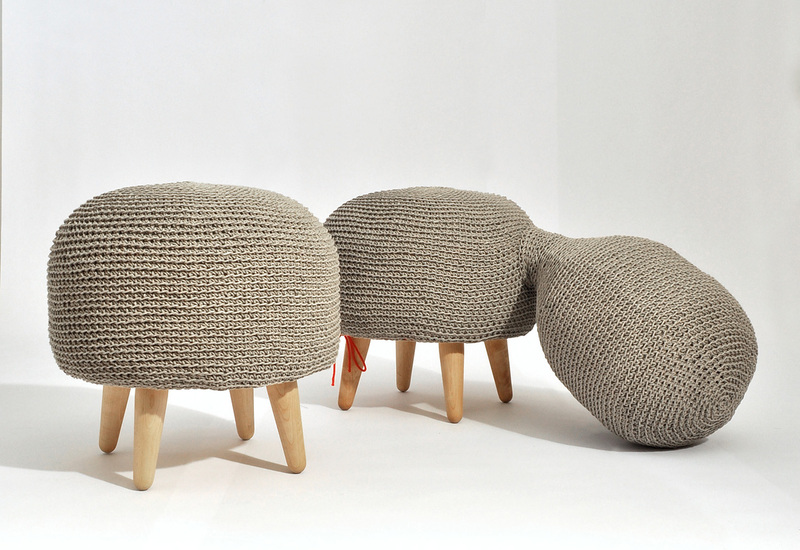 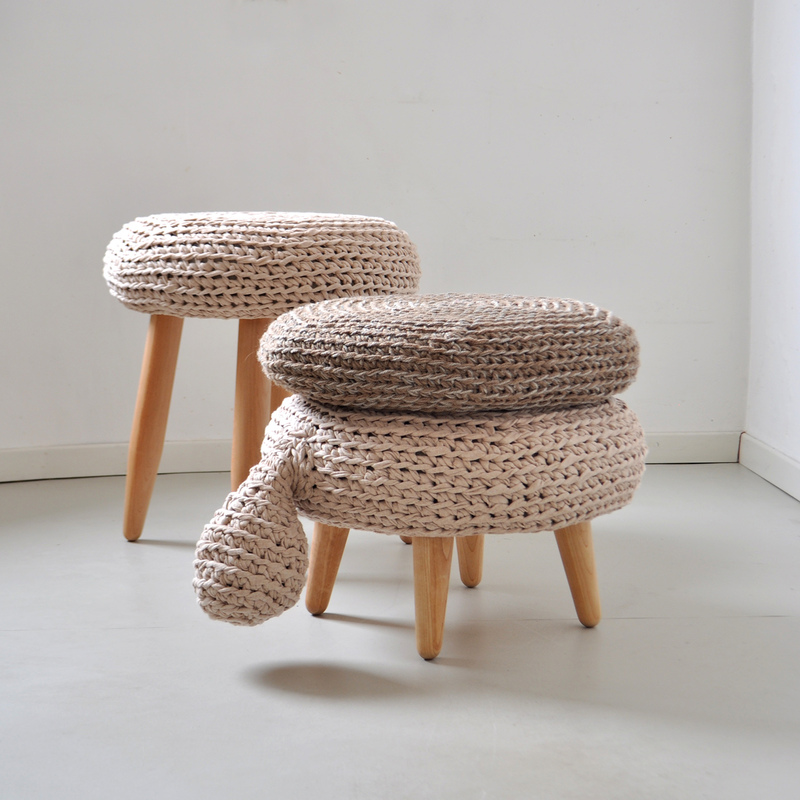 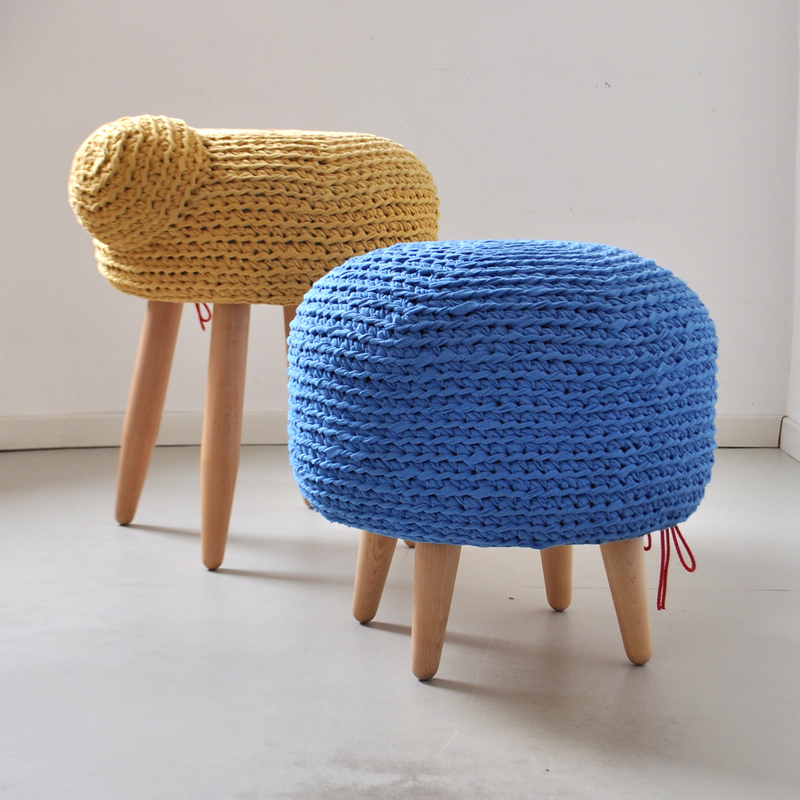 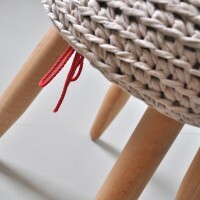 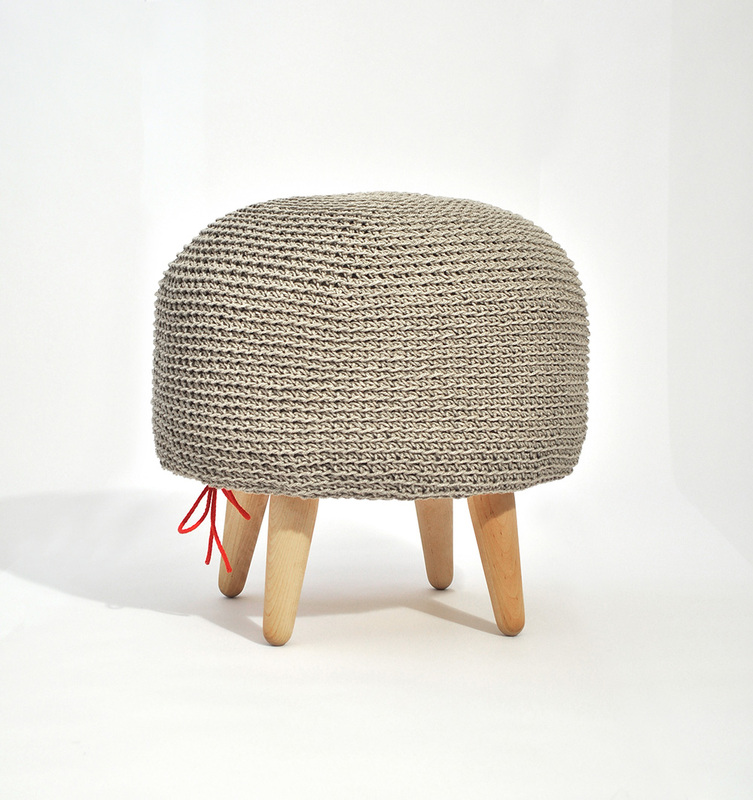 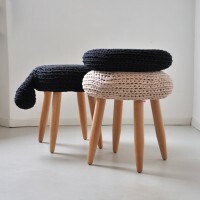 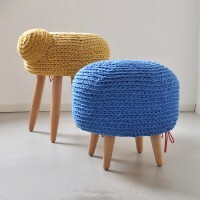 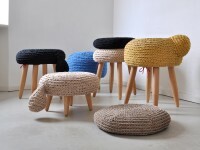 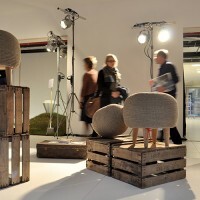 Farming is a series of handmade furniture in a crocheted flax twine and with birch-wood details. 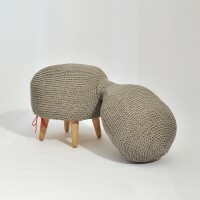 The concept of this collection is a mutation of volumes that evolve from a traditional piece of furniture. 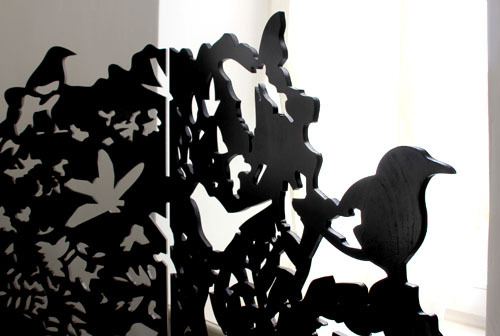 The creations assume forms that relate with nature, landscape elements and animal world, although there are no explicit references to that. 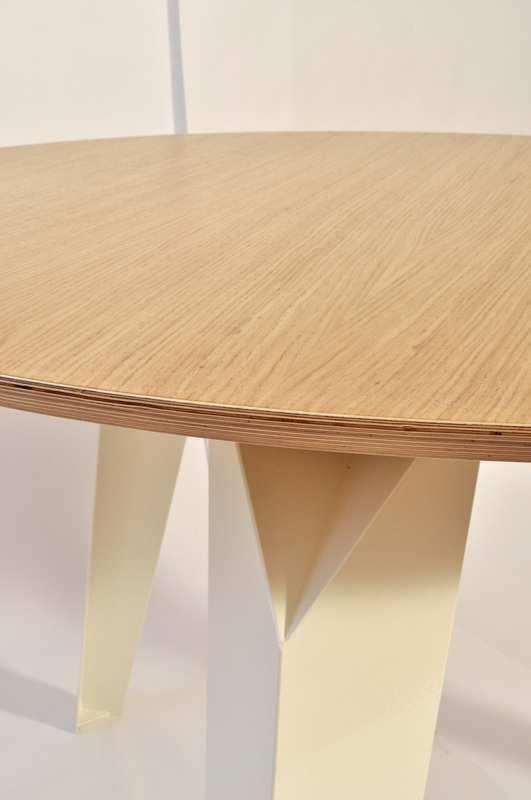 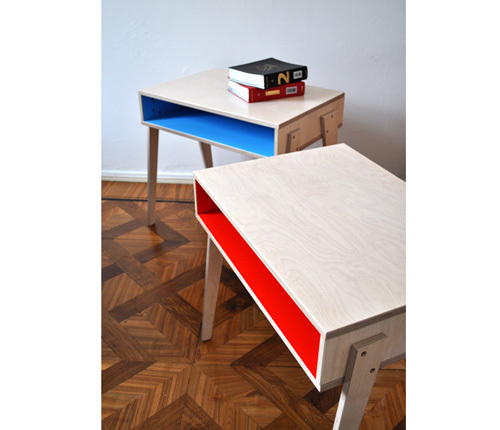 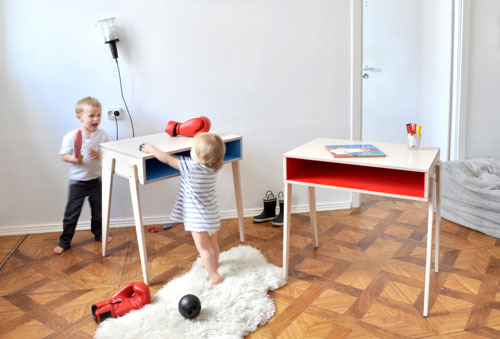 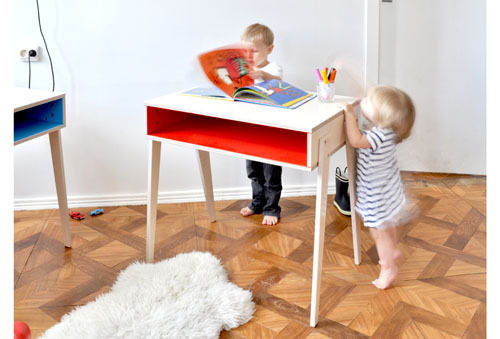 Originally made as school desks, these tables can be used at home or in the office, for kids as well as for grown-ups. 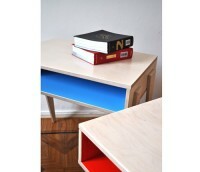 You can choose one of the four vivid colours of shelf: red, blue, green or yellow. Made of birch plywood, varnished. 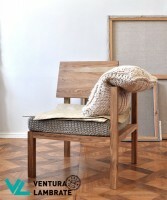 Chair with a small table that becomes a backrest when turned down. Oak-wood, treated with linseed oil, cushions in knitted wool, crocheted flax rope and fabric. 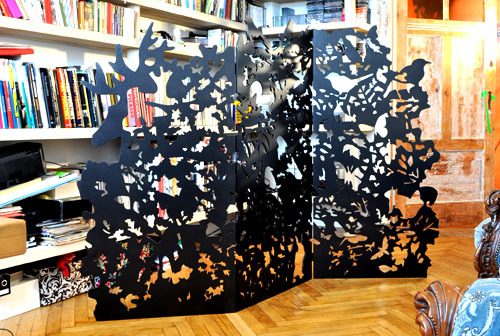 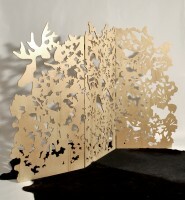 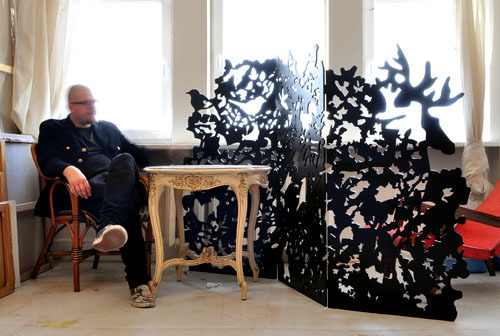 A screen for dividing the space and creating a mysterious setting. 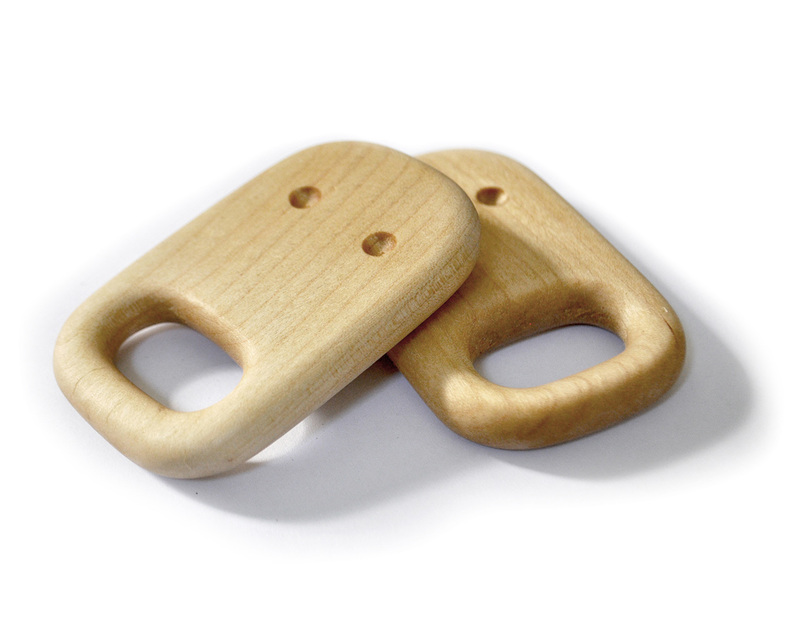 The hinges let it to be folded in any position or even closed completely. 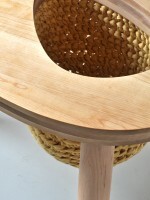 Birch plywood, varnished in black. 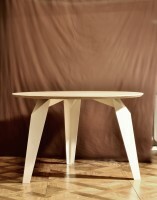 Dining table for 6 persons. 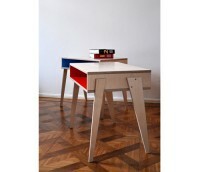 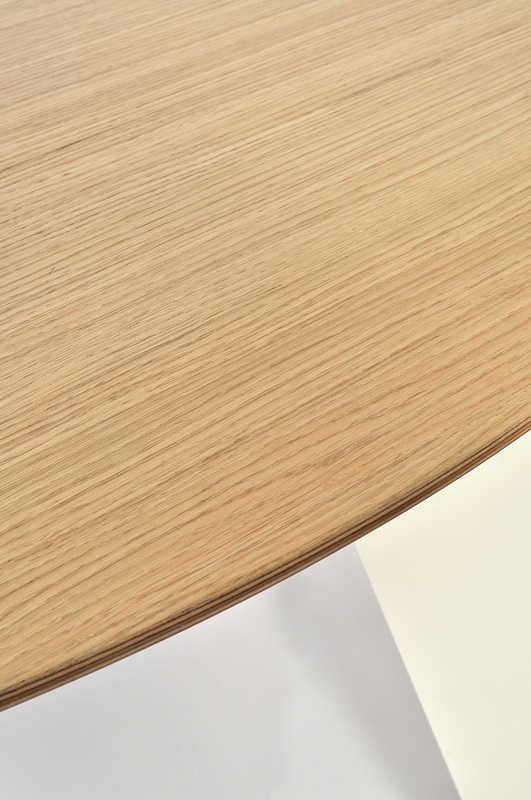 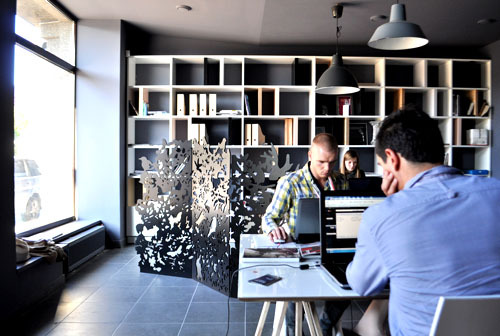 Fits perfectly also in an office as a meeting or working table. 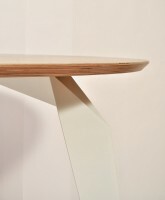 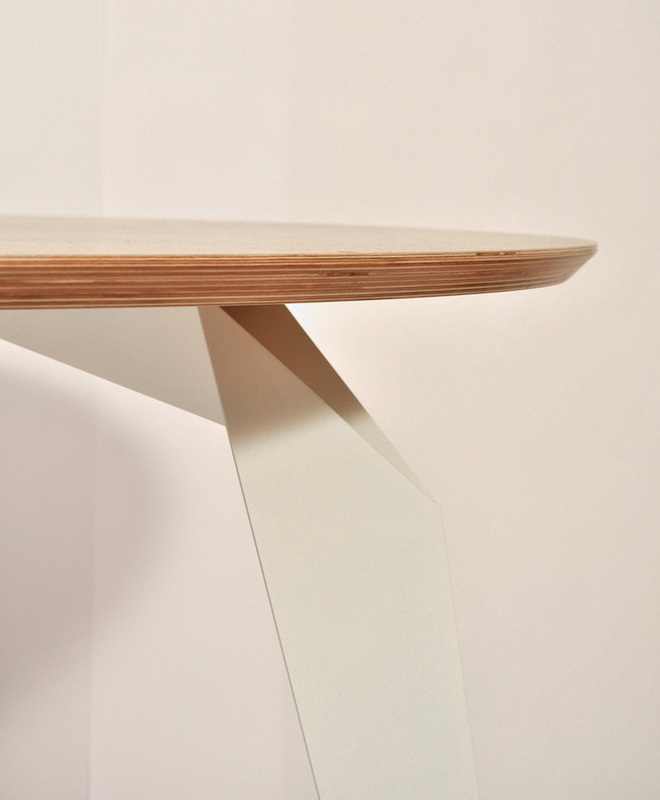 Birch plywood and powder coated steel legs. 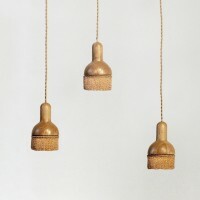 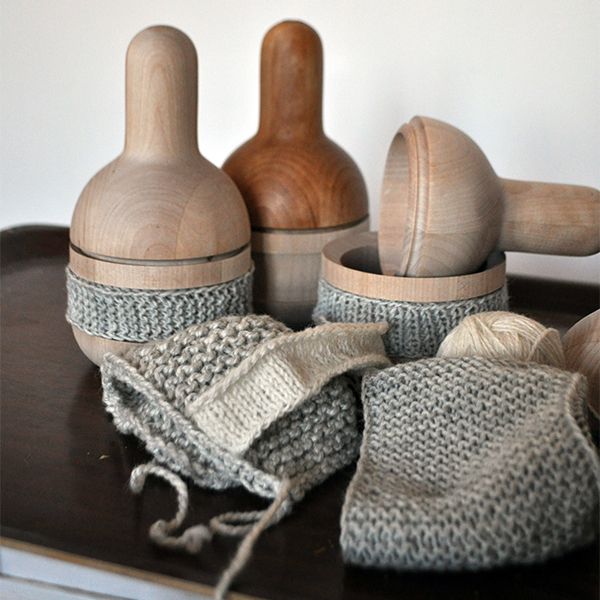 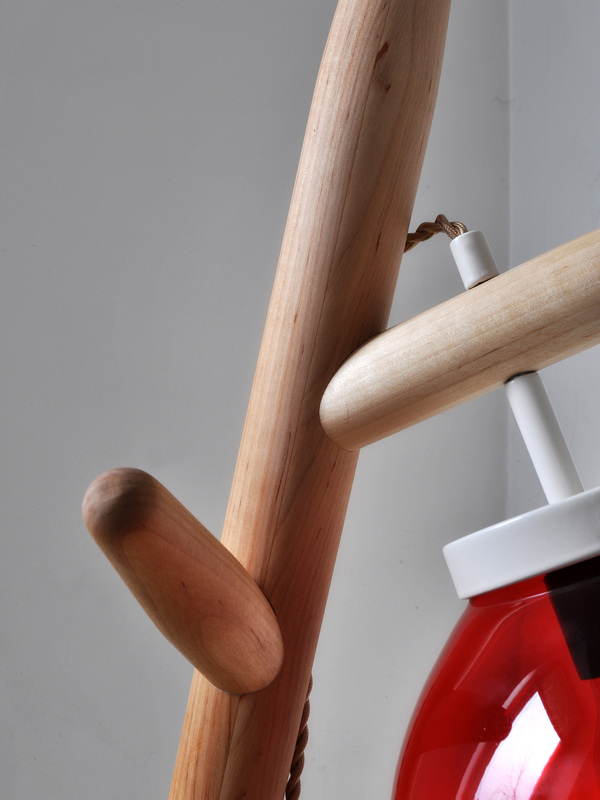 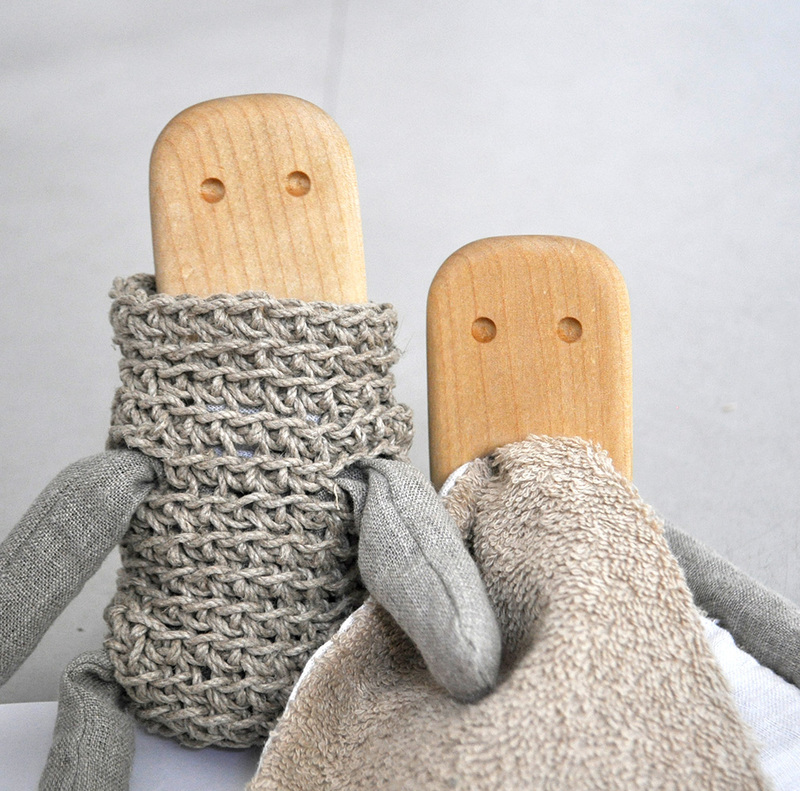 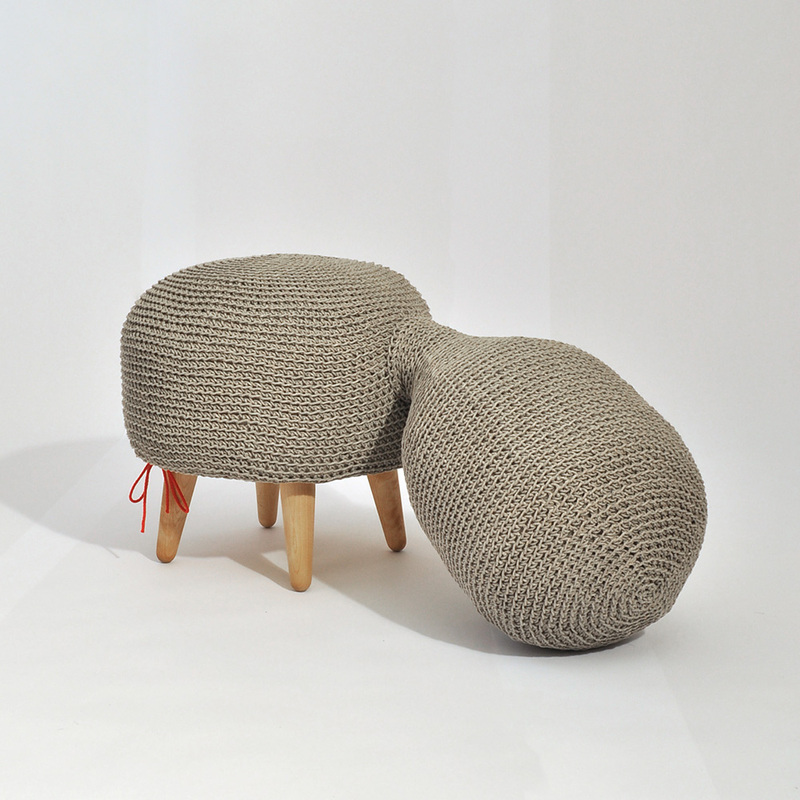 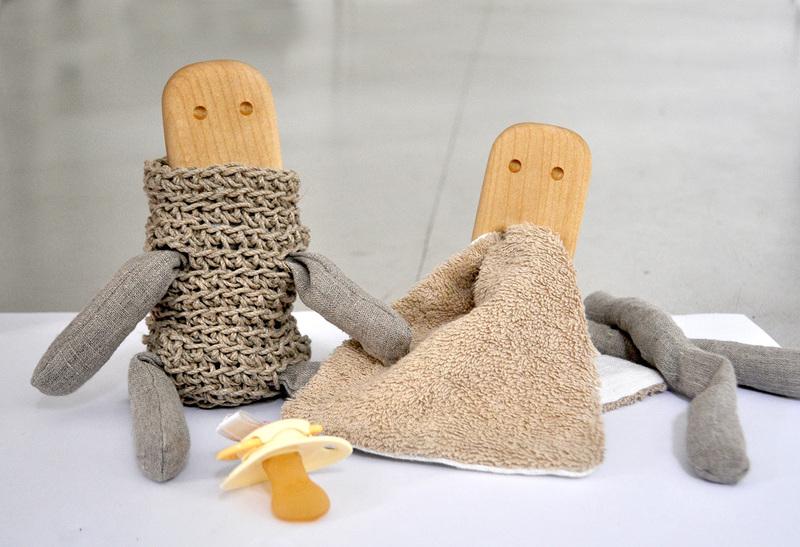 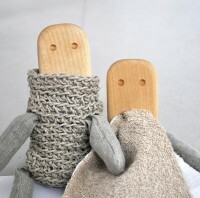 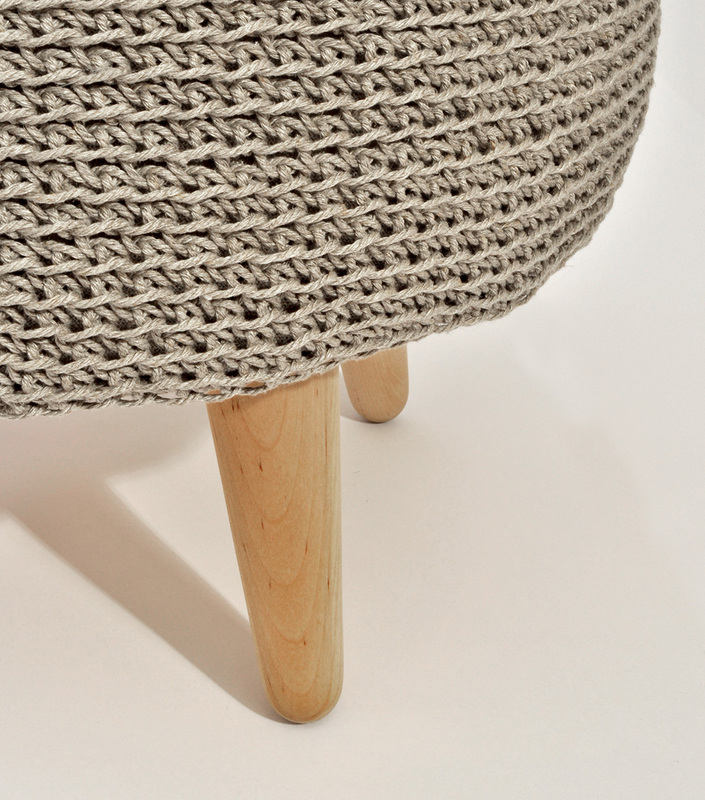 Warmer is a collection of handmade wooden objects with surprising woolen details. 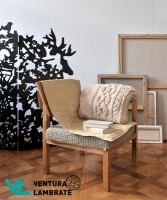 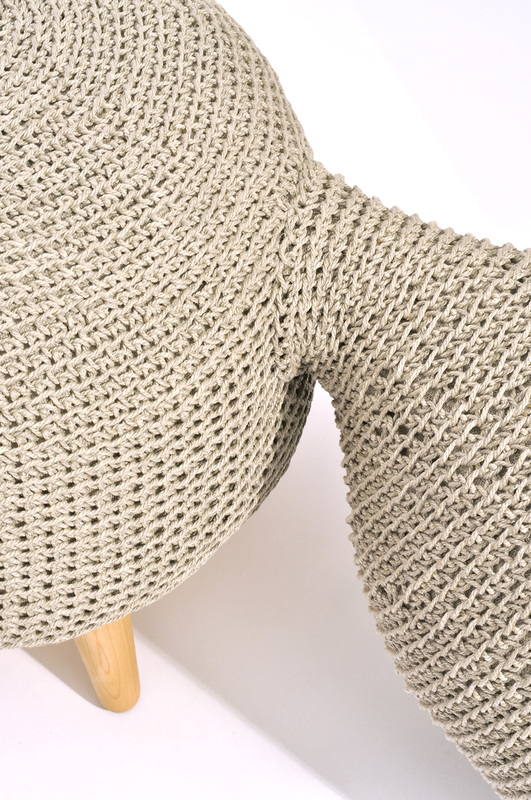 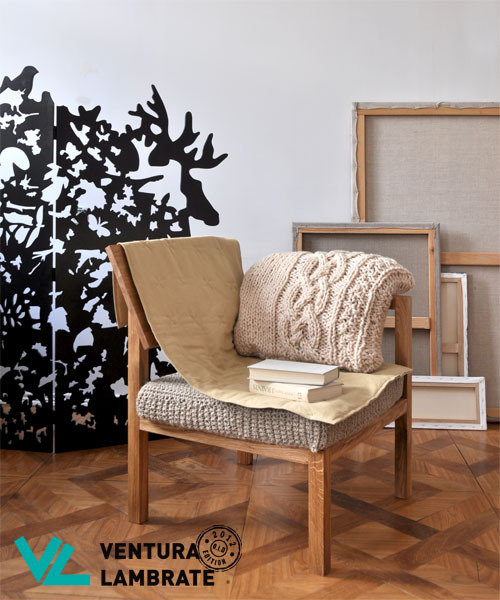 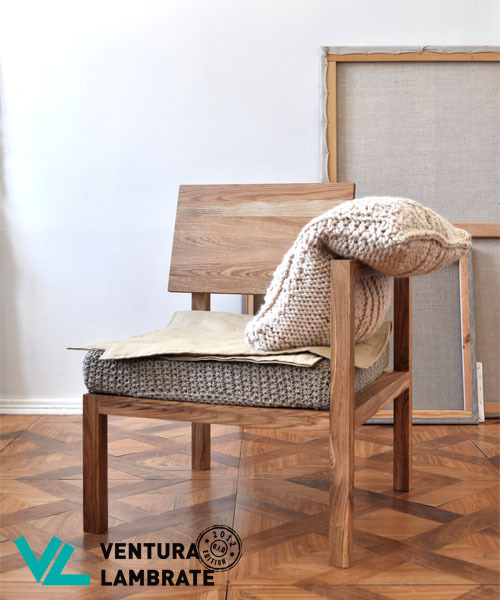 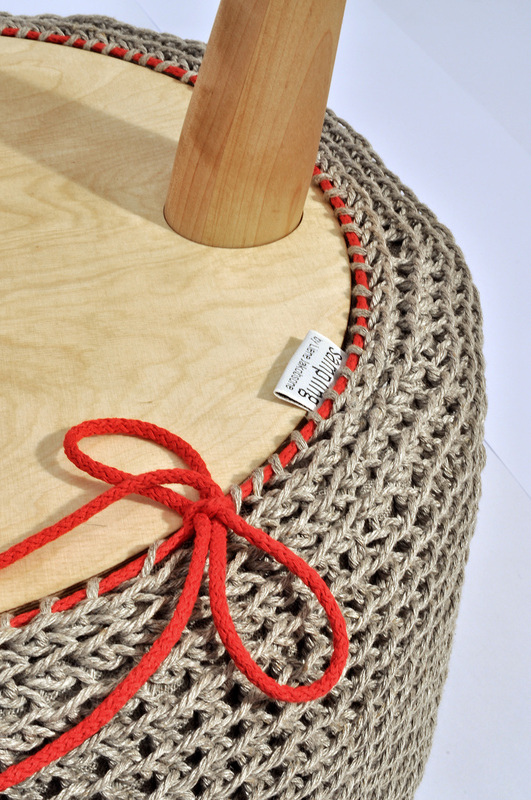 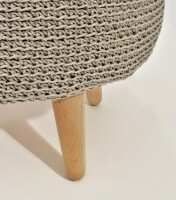 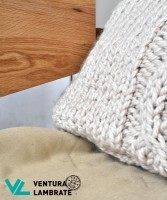 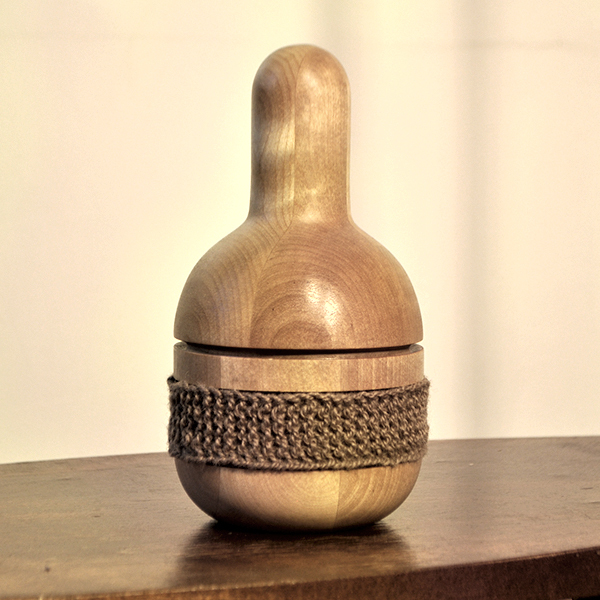 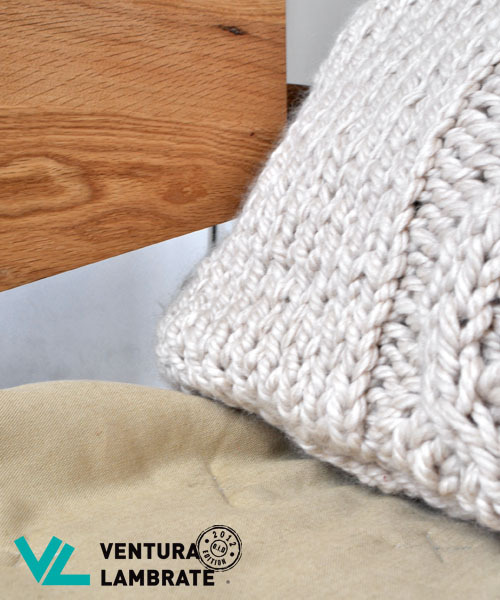 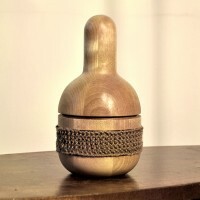 The perfect wooden shape made by the wood turning machine gets a personal touch by the knitted ‘scarf’ of the designer. 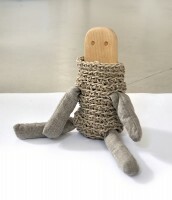 A toy for children from 3 months until 3 years of age. 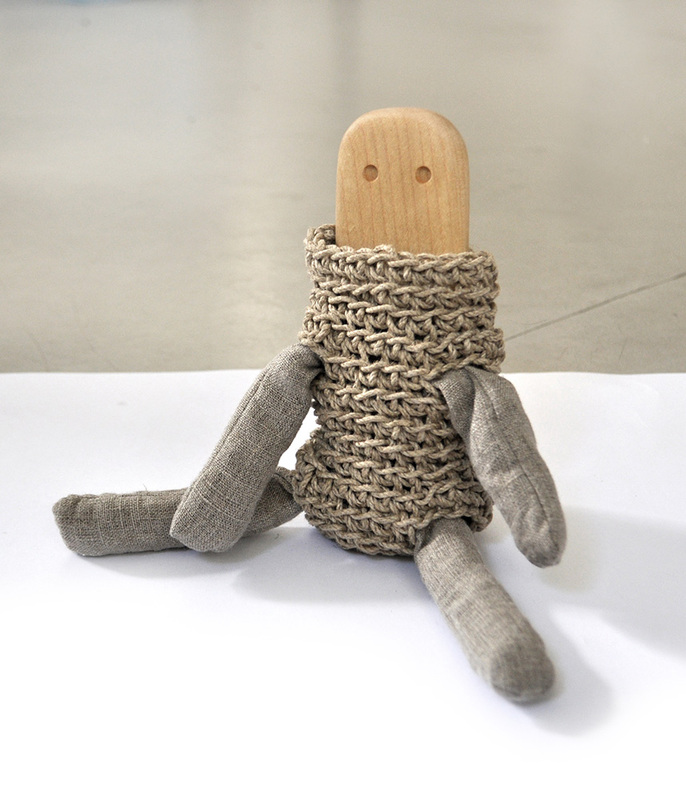 The toy is adaptable to the needs and abilities of various stages of child's develepment. 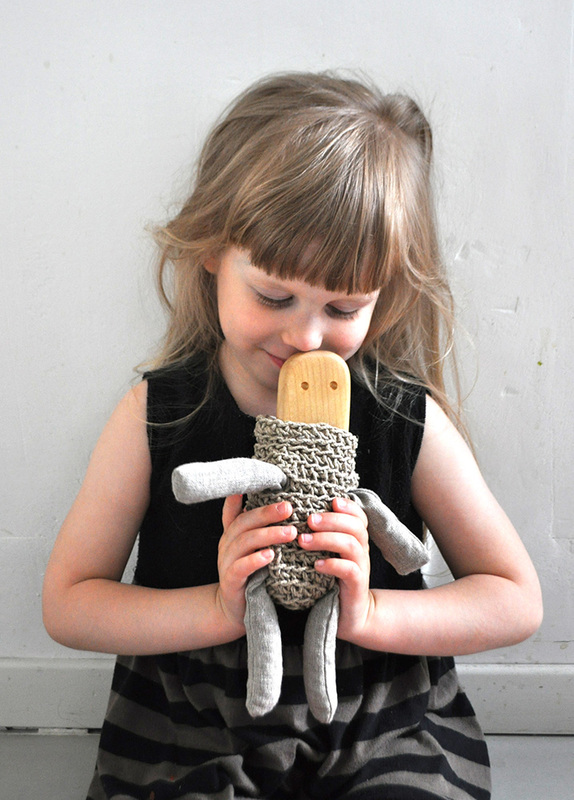 The toy allows to involve child both physically and emotionally, it helps child to calm down in the moments of stress, as well as use its imagination and establish a long-lasting emotional contact. Therapeutic and pedagogical indications are taken into consideration. 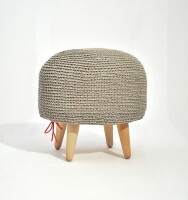 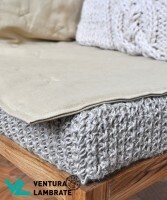 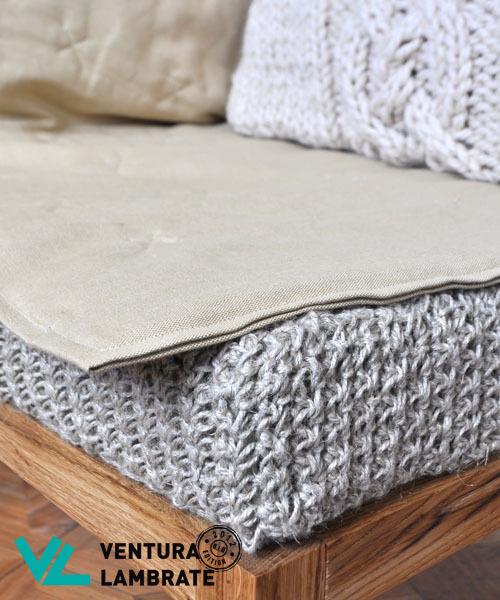 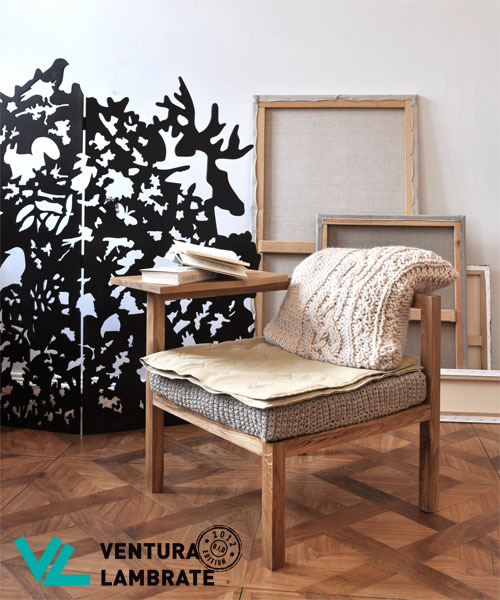 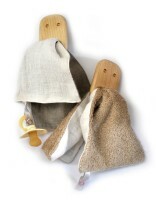 The product is made of natural and local materials. 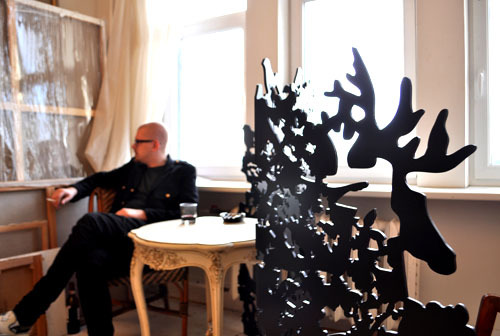 Farming is the second series in the Farming family. The forms have mutated, small tails have appeared. 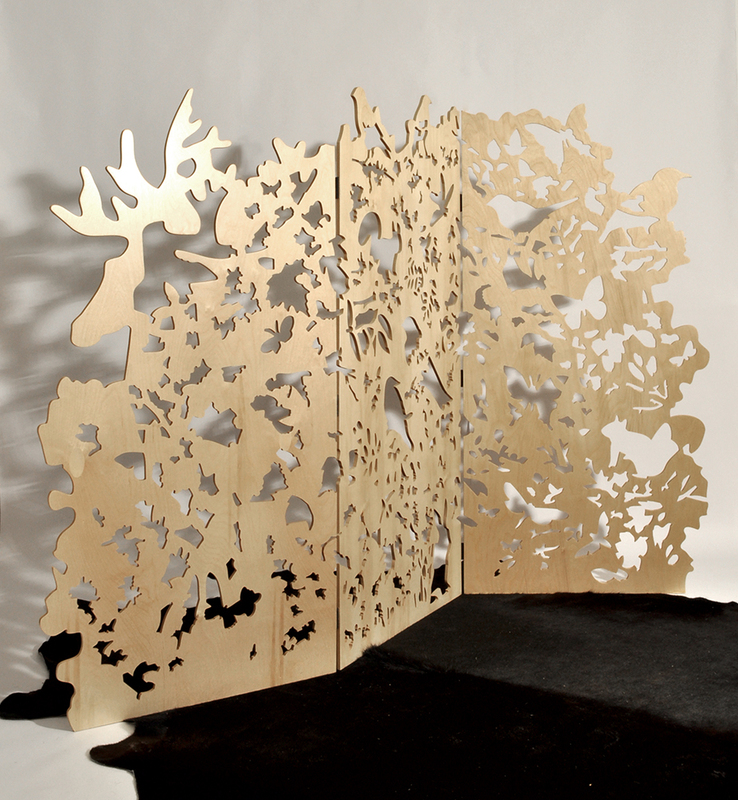 Creations assume forms that relate with nature, landscape elements and animal world, although there are no explicit references to that. This piece of furniture complements the Farming series. 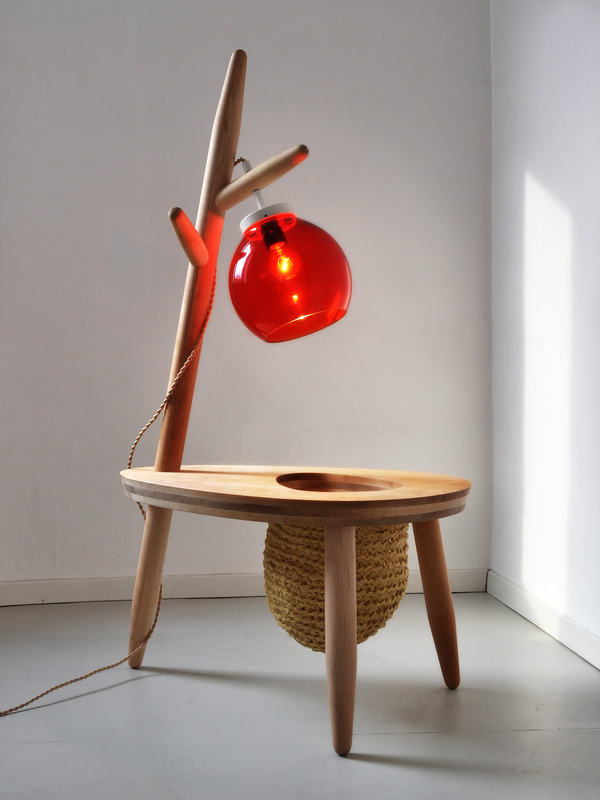 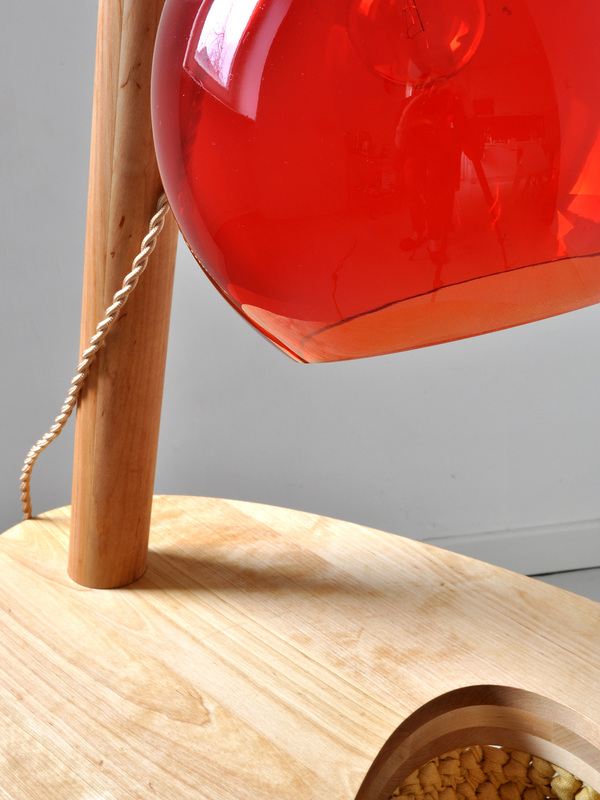 To be used as a side table or nightstand with lamp, it is far more than just its function. It's like gardening - you don't do it only to get fruit and flowers, but mostly for the pleasure the process gives.